According to Chinese records people have been pawning their property since around 200 B.C. During the Western Han Dynasty a person could get a small loan with low interest against their own personal property. The pawn business gained widespread popularity due to the simplicity and low risk of the loan agreement and terms. For the first time in history one could get a loan regardless of income or social status. The process hasn’t changed much since then. The borrower gets a cash loan without going into debt or selling goods they didn’t want to let go of and the lender takes on little risk based on their assessment of the property pledged against the loan. In the West, the Greeks and Romans also found a use for the pawn industry. The first Roman Emperor Augustus (63 B.C.-14 A.D.) arrested so many “criminals” and seized such a vast amount of wealth that the Roman government set up their own pawn system. A Roman citizen could get an interest free loan as long as the item they pledged was worth twice as much as the principal loan amount. Some scholars believe word pawn is derived from the Latin patinum meaning cloth or clothes and others say it comes from the Latin root pignus meaning pledge. Pope Leo making pawnbroking okay! In Europe, during the Middle Ages, pawn loans had a rough start. The Church was taking pledges and giving interest free loans and the system was mostly charity based. Since these non-profits needed clerks and administrators to run and oversee day-to-day operations these businesses all went under and failed. In the mid 1300’s in France, a 7.5% interest rate was adopted and business became sustainable. This caused controversy since it was against Christian values to charge interest on loans. 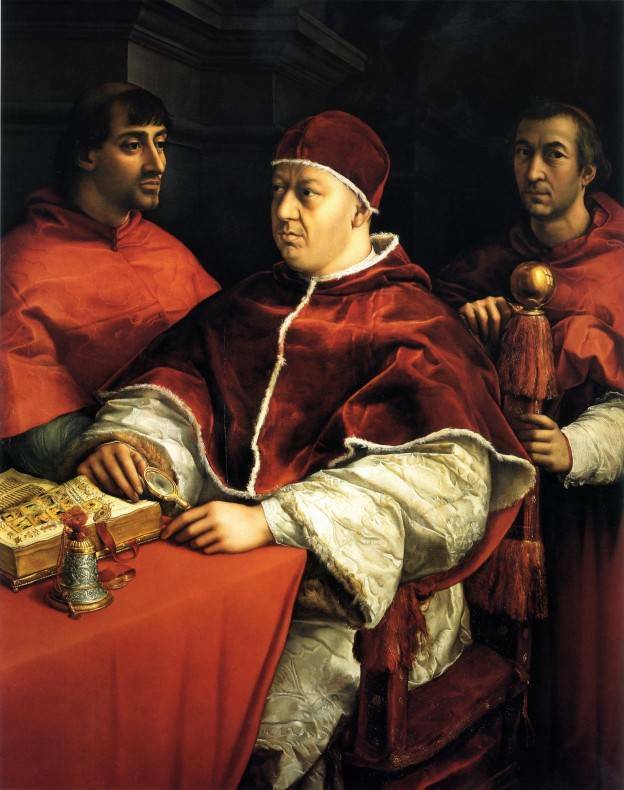 Pope Leo X cleared everything up when he declared that not only was pawn an honest business but threatened to excommunicate any naysayers against the practice. I must also note that Pope Leo X lived a very lavish lifestyle and was known for pawning his riches to support said lifestyle. The Italians are ultimately the ones given credit for mastering the system as we use it today. The Lombards of Northern Italy were true pawn masters. King Edward III of England pawned the crown jewels to finance a war against France using the Lombard banking system. The system eventually spread all throughout Europe and had to maneuver around political and religious barriers at every turn. Today, in the United States, pawn loan interest rates are set state legislatures to protect both the pledger and the lender. The industry remains as polarizing and as popular as ever. With the recent mortgage crisis we experienced, a debt free loan doesn’t sound like such a bad idea and as history has shown it’s a service used by wealthy and low income patrons. Even with state laws being what they are, make sure to find a reputable broker that runs an honest business and make sure you are not getting a loan against something that you should have just sold in the first place. Diamonds Forever is a small family owned jewelry store located in San Diego. If you’re in need of some extra cash now and you have diamonds, fine jewelry or a luxury watch stop in our store today and get your free jewelry appraisal. Diamonds Forever is staffed with GIA (Gemological Institute of America) trained jewelry professionals, highly educated so you get the most for your precious jewelry.